Can you believe that it’s almost November? I feel like this year has flown past! Thanksgiving is my favorite holiday and I am so excited for this year! I love to find seasonal foods at my local farmer’s market for Thanksgiving. Eating local food tastes sooo much better and that makes it perfect for Thanksgiving! In my area it’s still 80 degrees (can you believe it? ugh) so the growing season is a little bit longer here. But I know for many of you, especially those of you who live further north, the farmer’s market pickings are getting slim in November. Because of the variety of climates in the United States this is farmer’s market guide is pretty general. If you want to know exactly what’s in season in your area you can head over to The Seasonal Food Guide. I love this website because you can put in your zip code and know exactly what’s in season throughout the year in your area! So let’s get started! Here’s what you should be looking for at the farmer’s market in November! 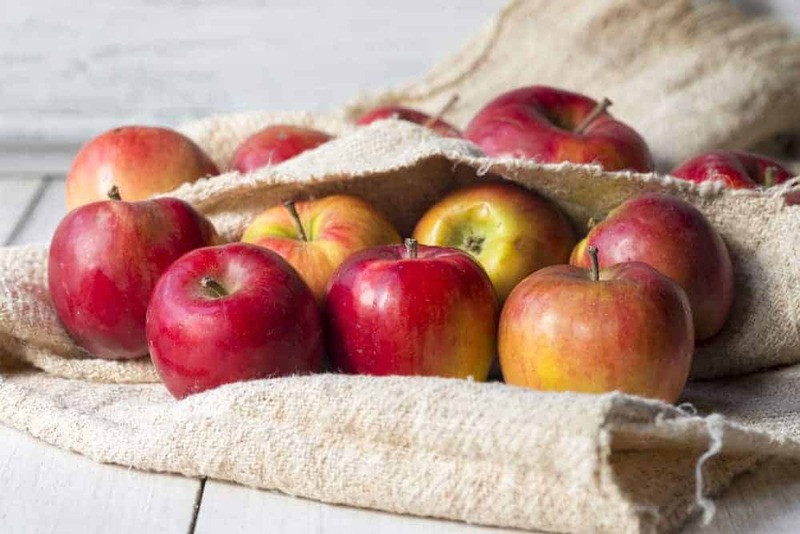 You can also use fresh apples to make homemade apple cider vinegar! I have a guide for how to make apple cider vinegar here! 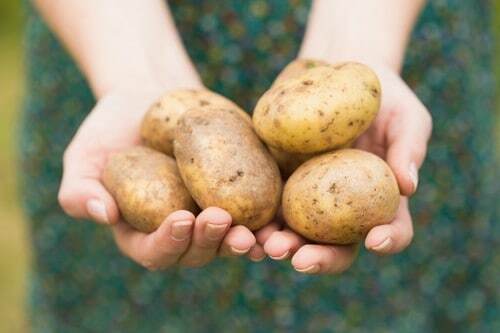 If you’re lucky you might still be able to find some local potatoes for your Thanksgiving mashed potatoes. Since potatoes are fairly easy to store long term you can usually find farmers who have stored their crop from earlier in the season. When I lived further north I would go to a local farmer who stored potatoes in a massive root cellar! It was awesome because you could get local potatoes year round! Check out my favorite recipe for Southern Style Mashed Potatoes and Gravy that you can make in your instant pot! You can also try my favorite recipe for Southern Style Sweet Potatoes! I’m really looking forward to trying some recipes with winter squash this year! There are so many varieties of winter squash (spaghetti, acorn, butternut etc.) and I’m really looking forward to trying some out! There are still fresh local pumpkins hanging around after Halloween, I promise! I love using fresh pumpkin to make pumpkin puree and pumpkin spice because it’s perfect for the holidays! You can find my recipe here: Pumpkin Puree & Pumpkin Spice. 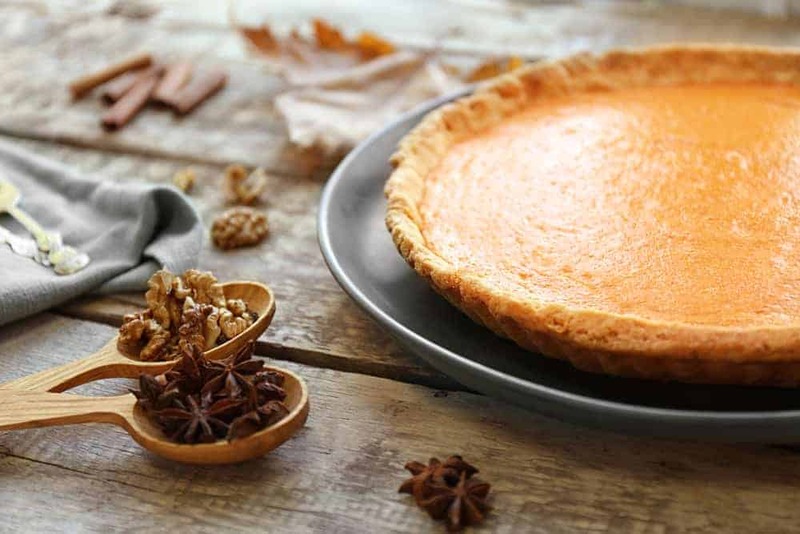 But my favorite thing to do with fresh pumpkin is make pumpkin pie! 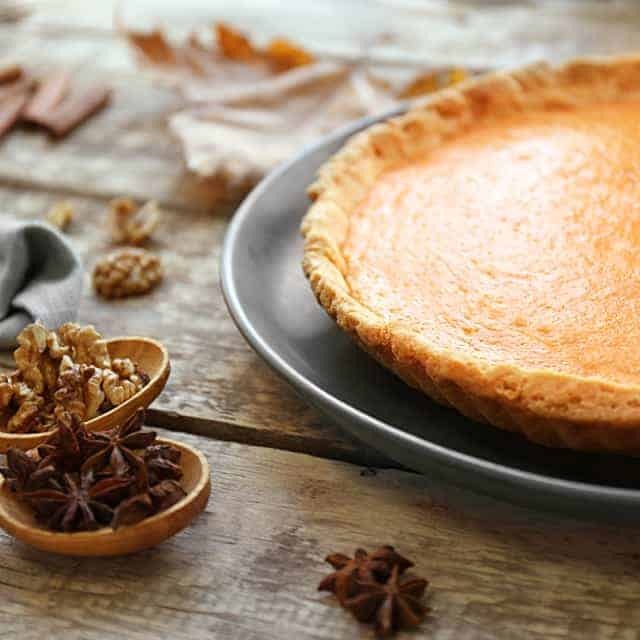 You can check out my favorite holiday pie recipes right here! Where I live, fresh carrots start showing up in October & November (since summers are so hot!) This recipe for Maple Brown Sugar Glazed Carrots would be the perfect side dish for Thanksgiving! Yum! 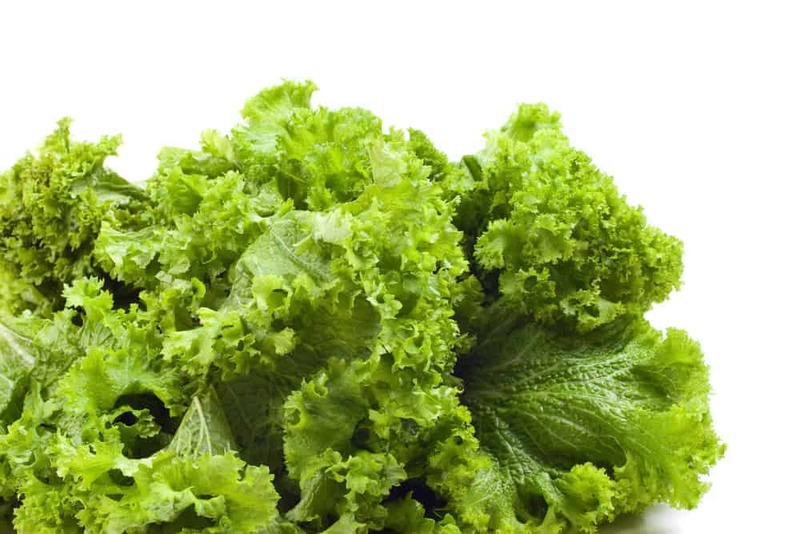 Mustard greens are perfect for salads and they would be great for a Thanksgiving side dish. Check out this recipe for Sautéed Mustard Greens With Garlic and Lemon! I love fresh thyme! Typically November is the last month there’s fresh thyme at the farmer’s market, so I’m going to enjoy it while I can! I just made a recipe for meatball orzo stew tonight for dinner, and the best part was it featured fresh thyme! You can find the recipe here: Slow cooker meatball orzo stew. Well that’s all folks! If you’re looking for Thanksgiving décor ideas for your home, I’ve got your covered! Head over to this article here for my favorite fall themed décor! What are you going to buy at the farmer’s market this month?